How to add a file to the root? Plugins like Cordova-firebase request you to add a plist and json file to the root of the project. Monaca cloud does not allow to add to the root. There are a few ways to accomplish it because there are different firebase plugins. If you use https://github.com/fechanique/cordova-plugin-fcm then the files should be automatically created. If you use https://github.com/arnesson/cordova-plugin-firebase then you need to manually upload the config files in the root by following this procedure. Open your project in IDE. A modal will open, select the / as destination and upload the config files. Thanks! Great. I’ll try tonight. I’ve not so much time now, but the files are not automatically created in the fcm plugin. Build Error: Error: Sandbox Exec Error: [ Error: cordova-plugin-fcm: You have installed platform android but file 'google-services.json' was not found in your Cordova project root folder. I think the plugin automatically puts them in the right place, once they are in the root folder. I also tried uploading a file. This might have worked since i got no error. Am i supposed to see it in the file structure? Or is it always hidden? 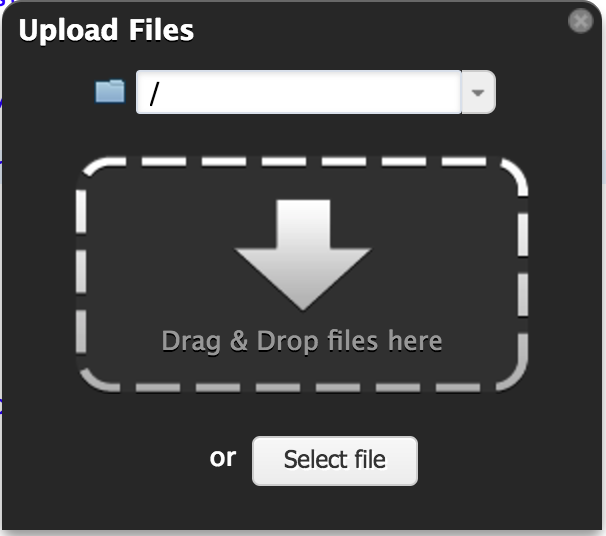 You should be able to see the files after your refresh the project tree content (there is an option close to the upload button.